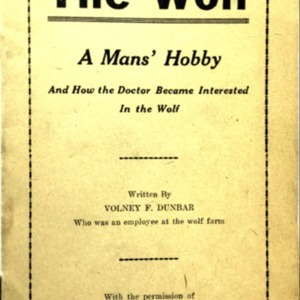 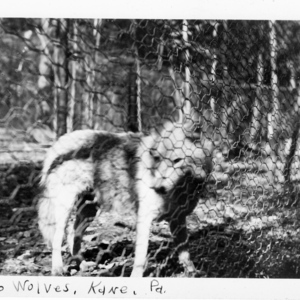 An interview with David Johnson who, during one of his visits to the wolf park in the late 1950s, helped an employee carry buckets of water for the wolves, and was given a silver dollar for his work. 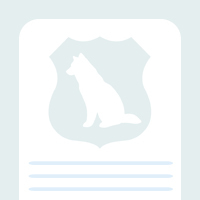 The text in square brackets was added by the interviewer for clarity. 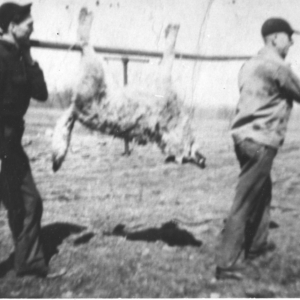 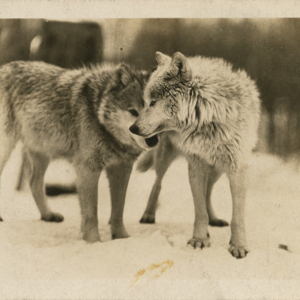 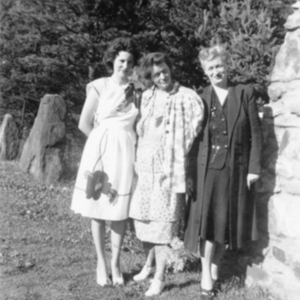 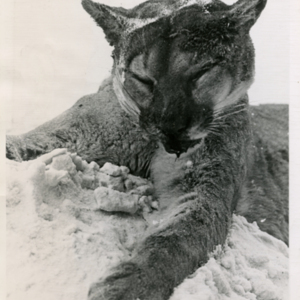 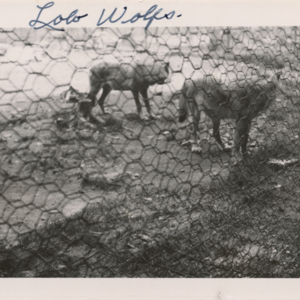 A memory submitted by Terry Taylor about a family visit to see the lobo wolves in the 1950s. 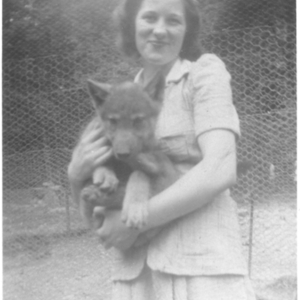 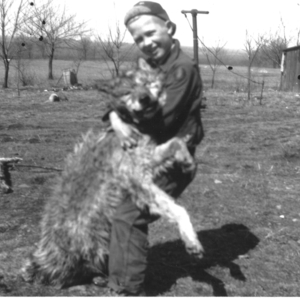 This photograph depicts Mildred "Millie" M. (Wichman) Fitch - who was born and raised on Westwind Road in Kane, PA and worked at Dr. McCleery's wolf farm - holding a wolf pup at Dr. McCleery's lobo wolf park, located along Route 6 five miles east of Kane, PA. 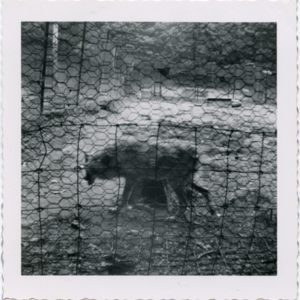 This photograph depicts a wolf in a pen at Dr. McCleery's lobo wolf park, located along Route 6 five miles east of Kane, PA. A visitor's hand (holding an item) is visible by the fence. 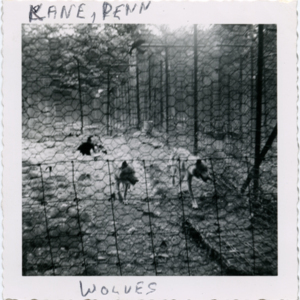 This photograph depicts two wolves in a pen behind their steel "den" at Dr. McCleery's lobo wolf park, located along Route 6 five miles east of Kane, PA. Additional wolves can be seen in neighboring pens. 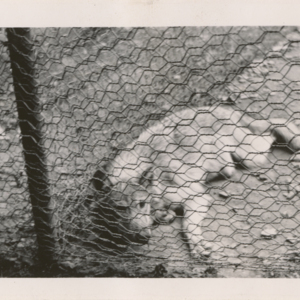 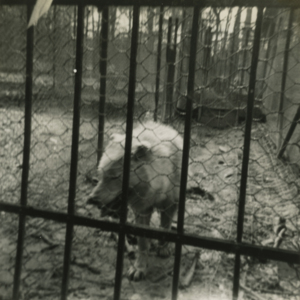 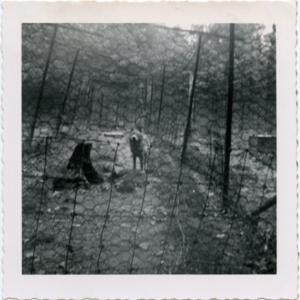 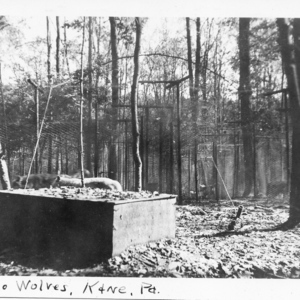 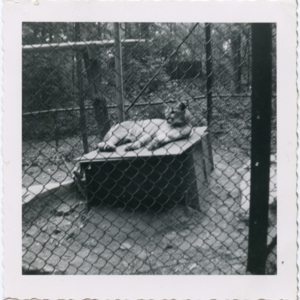 This photograph depicts a wolf in a small pen at Dr. McCleery's lobo wolf park, located along Route 6 five miles east of Kane, PA.
Judging by Jack Powell's age in the other photographs in this series, I believe this photograph was probably taken in the 1930s or 1940s. 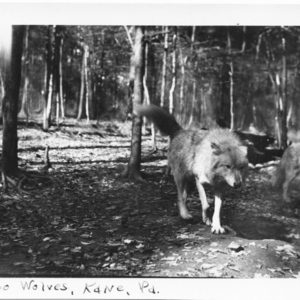 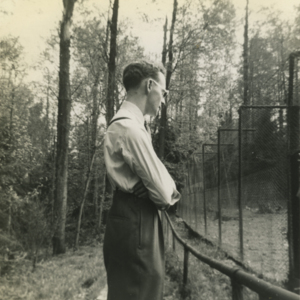 This photograph depicts Jack Powell (1921 - 2009) standing in front of the wolf pens at Dr. McCleery's lobo wolf park, located along Route 6 five miles east of Kane, PA.
Judging by Jack Powell's age, I believe this photograph was probably taken in the 1930s or 1940s.